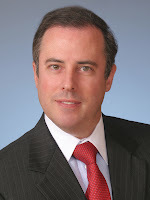 Duane Morris LLP partner Harvey Gurland has been named co-managing partner of the firm’s Miami and Boca Raton offices. Gurland joins current managing partner Charles Papy in the role of leading the firm’s growing South Florida presence, now comprising more than 30 lawyers in all of the firm’s major practice areas. “I am very excited about this opportunity and look forward to working with Charlie to continue to grow our offices in South Florida,” said Gurland. Gurland represents clients in general business and corporate matters, including class actions and shareholder suits; intellectual property; and real estate litigation. He also has experience working in the energy industry and is former chair of the Petroleum Marketing Committee of the American Bar Association’s Section of Environment, Energy and Resources. In addition, Gurland serves on the firm’s governing Partners Board and has been named one of the top lawyers in commercial litigation by the South Florida Legal Guide and one of Florida’s “Super Lawyers” for Business Litigation. Gurland is a former judicial clerk to the Hon. Jose A. Gonzalez, Jr., of the U.S. District Court for the Southern District of Florida. He is a graduate of the University of Miami School of Law and of City University of New York’s Queens College. Duane Morris’ Miami office provides diverse legal services to domestic and international clients, ranging from large multinational corporations and public entities to individuals and closely held entrepreneurial businesses. The lawyers in Miami work with clients doing business not only in Miami-Dade County, but also throughout Florida, the Southeast and with other Duane Morris lawyers nationwide and internationally.